Kia will expand the Ceed family hatchback line-up later in 2019 with the launch of a jacked-up crossover rival to the Nissan Qashqai. Sitting between the Ceed hatchback and Sportage SUV, the new Ceed crossover is being described as “the next big surprise from Kia” by designer Gregory Guillaume. This suggests it will be more than simply a Ceed hatchback with raised suspension and extra plastic body cladding – and Kia already has form here: the Proceed is another distinctive and stylish Ceed derivative that some have likened to an affordable Porsche Panamera Sport Turismo shooting brake. Guillaume hopes the new Ceed crossover will help the range appeal more strongly to European consumers. Although the Sportage is wildly successful, Kia believes there is potential to tap into an even broader audience with a direct rival to the Qashqai – a car that’s now a staple of the UK top 10 best-sellers rankings. 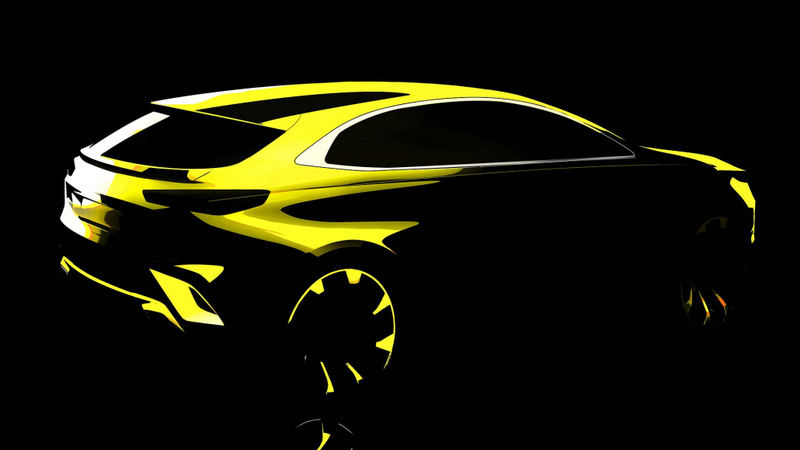 Kia is expected to reveal the new model at the Frankfurt Motor Show this autumn. It will confirm the name nearer to launch too: current speculation is that it will be called XCeed. The new model will be the fourth member in the Ceed range, which comprises the hatchback, Ceed Sportswagon estate and Proceed ‘lifestyle’ estate. Last year, Nissan sold over 40,000 Qashqai crossovers in the UK. This placed it fourth in the 2018 best-selling UK cars rankings, beating the Ford Focus, Volkswagen Polo and Mini. Kia, meanwhile, sold more than 35,000 Sportage SUVs in the UK, making it the 10th best-selling car in the UK – placing it ahead of the Vauxhall Astra, Volkswagen Tiguan and Fiat 500.